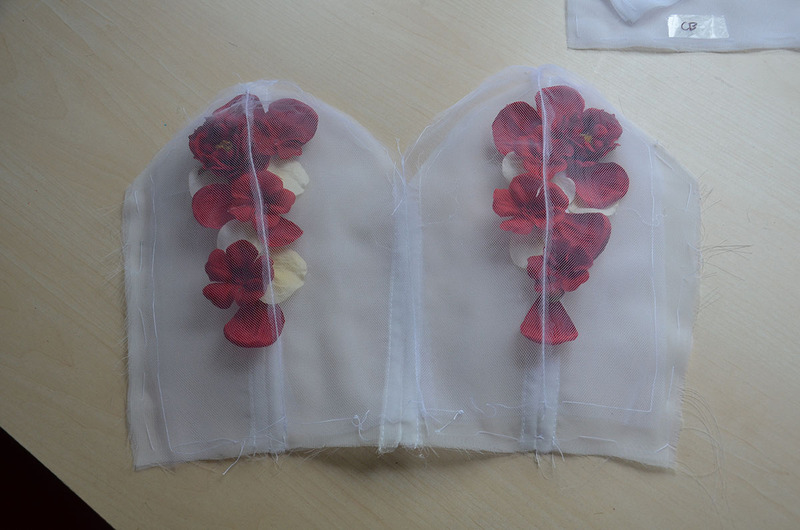 Here is the second part of making my flowery dress! 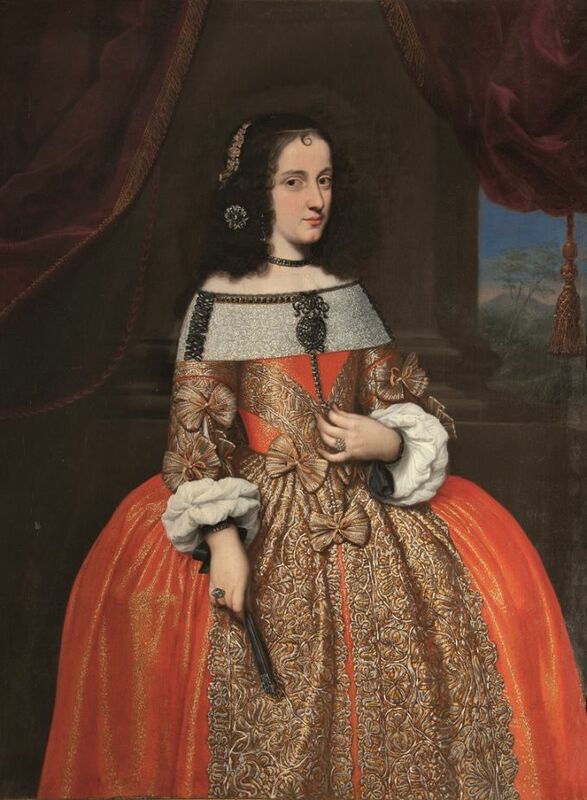 The first part, which talks about the skirt, can be found here! 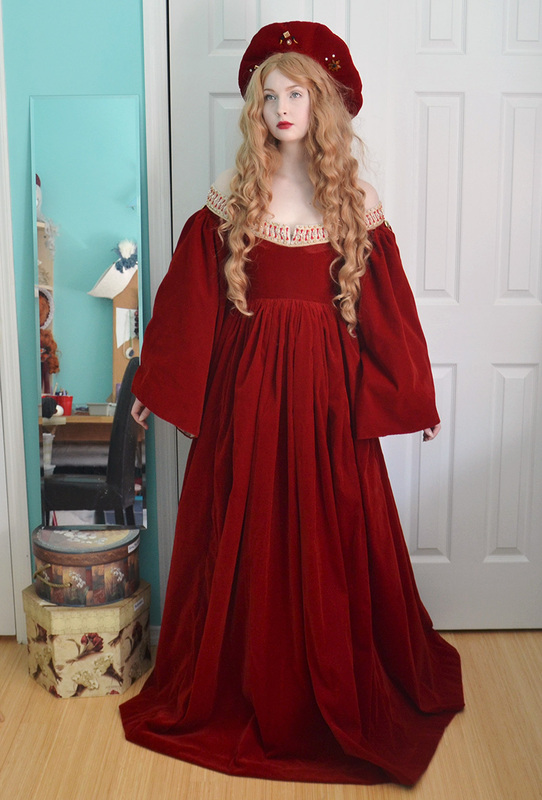 The bodice of this dress is a simple sweetheart that drafted a few months ago for a different project. 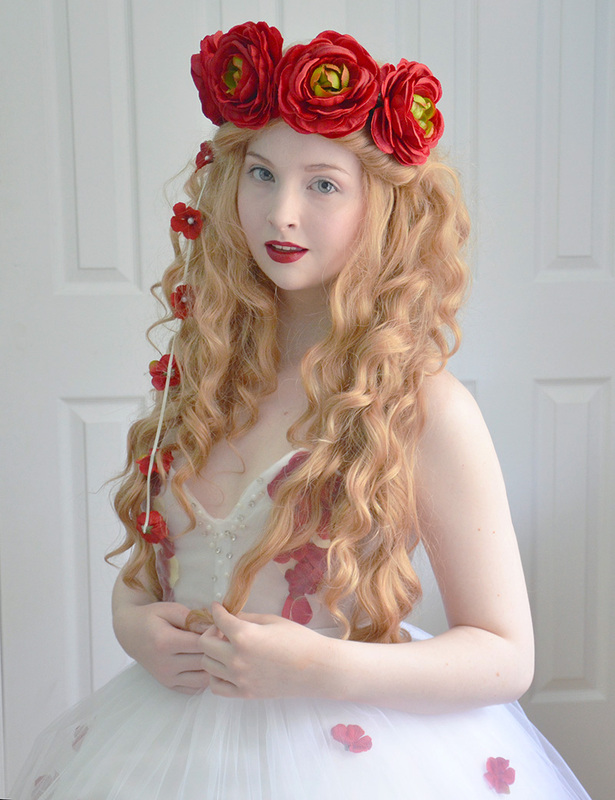 I actually planned to do a pattern making tutorial on this project, so I have nearly twenty five photos of how it was made! But this post will be long enough without those, so i’ll only show you two. 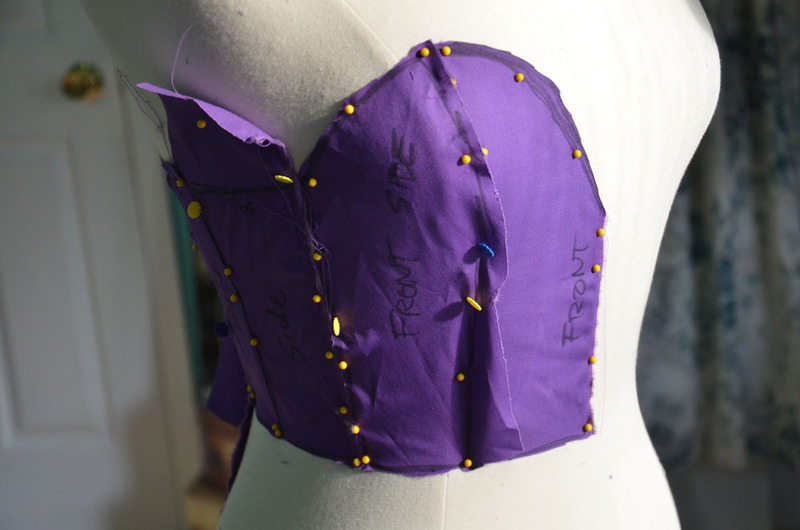 Here is the draped bodice on my dress form. 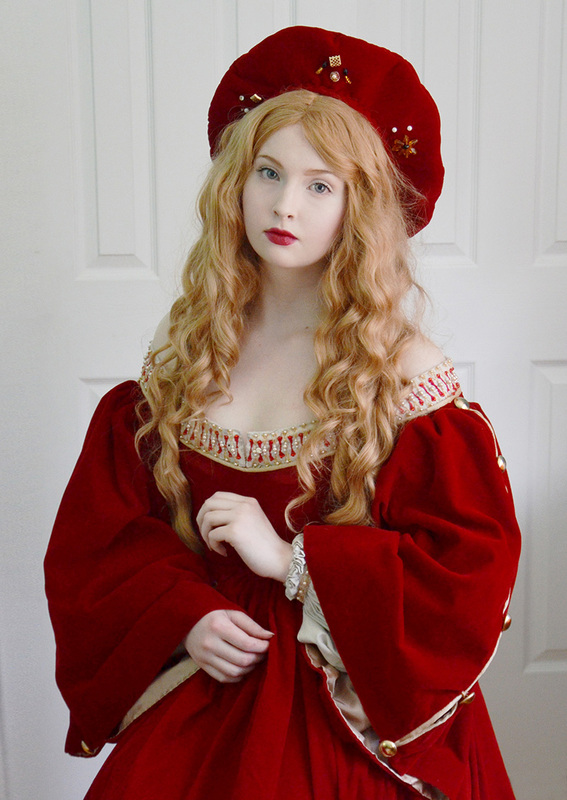 And here is what the finished pattern looks like! Step one was cutting out all the pieces. 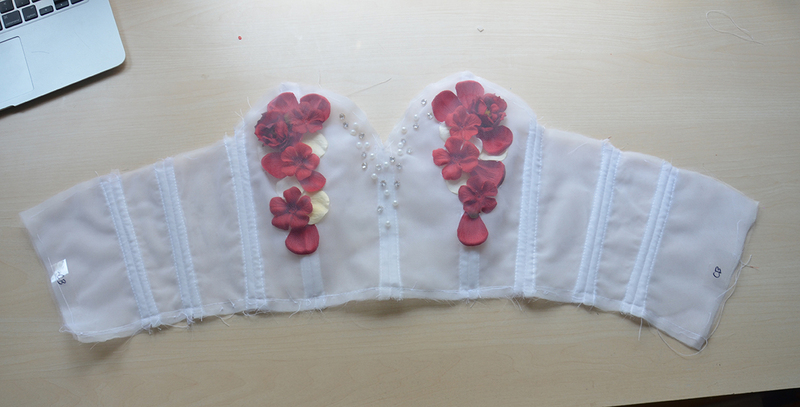 This was made more difficult (by that I mean really annoying) by the fact I chose to make this bodice from sheer and slippery materials. 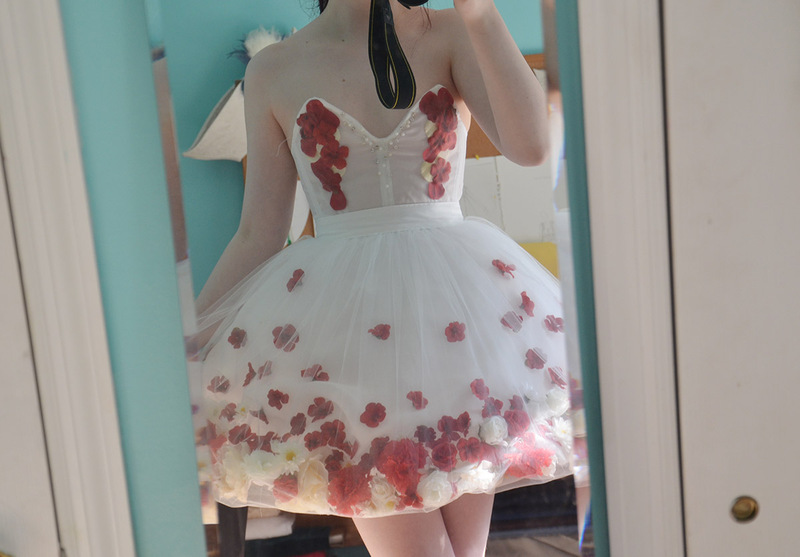 Each piece was cut from two layers of tulle, a layer of chiffon, and a layer of organza. After cutting them out I hand basted all the layers together. I also used tape to keep track of which pieces go were – they sort of all look the same! 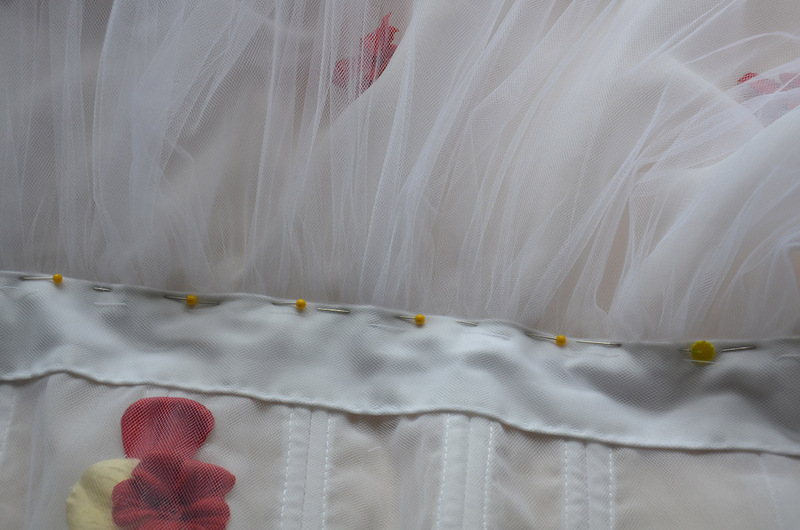 The two front pieces were done a little bit differently, the tulle layers were assembled separately from the rest, this way I can attach flowers to the chiffon/organza layer and use the tulle as an overlay. 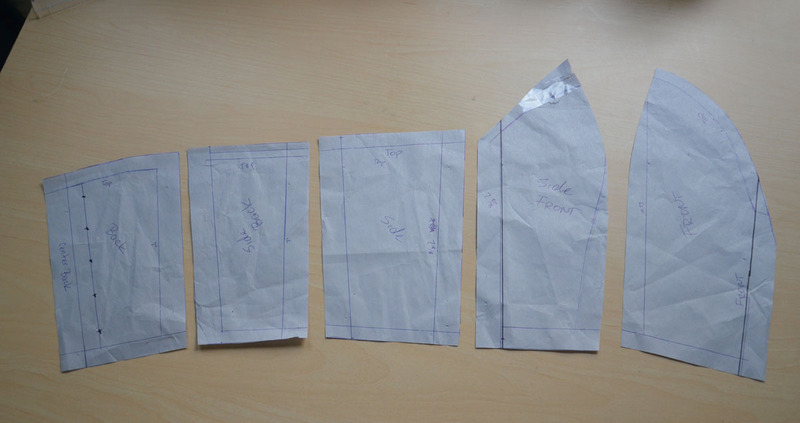 The pieces are sewn together with a three quarter inch seam allowance. 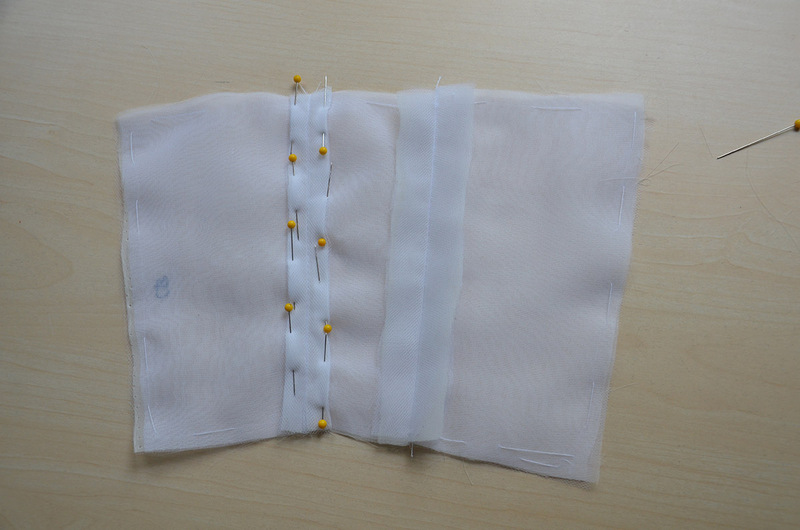 All the seams are pressed open, then turned under to create a quarter inch wide pocket. This finishes off the seams really nicely and creates a channel you can slip boning into. Here they are finished – not the most even stitching in the world, but this was my first time trying the technique, so i’m sure i’ll get better! 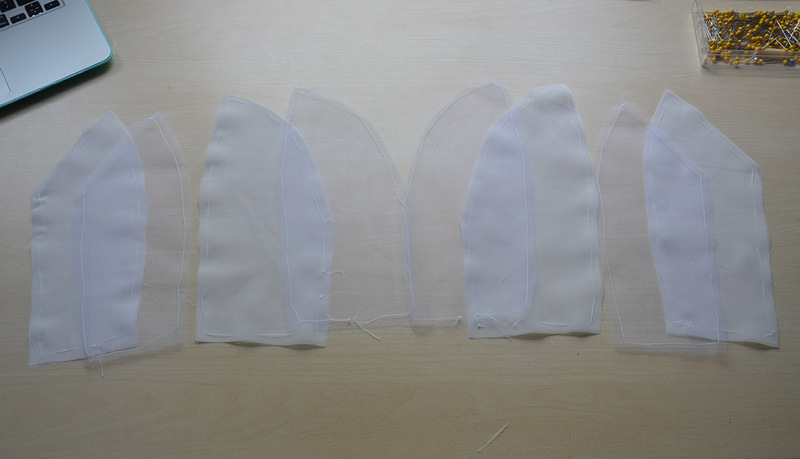 I repeated the process on my front panels, then inserted plastic boning into all the channels. 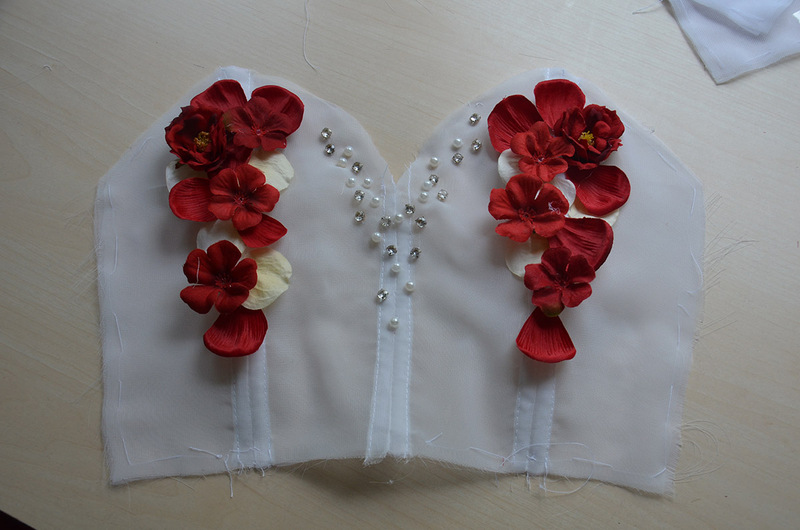 Once that was done I began the process of gluing flowers onto the bodice! 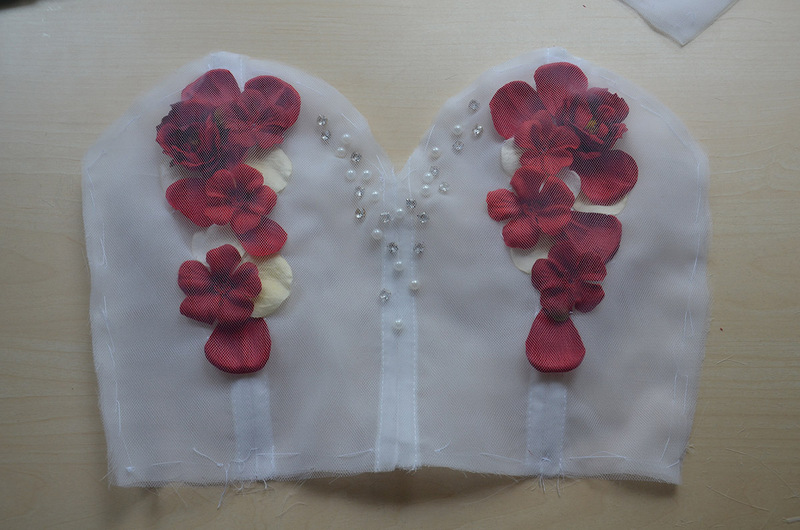 I started with some petals. 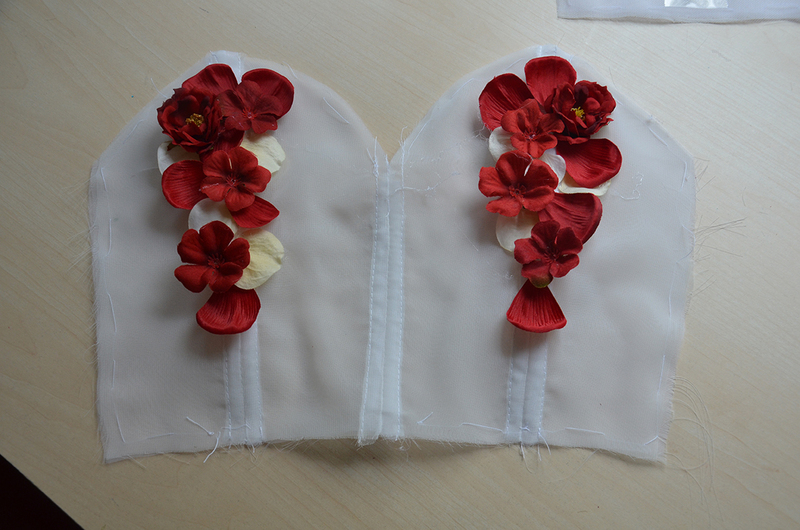 I wanted to keep the flowers even on both sides, but I wasn’t aiming for perfect symmetry. Please ignore all the icky glue tails, a sweep with a lint roller removes them all! 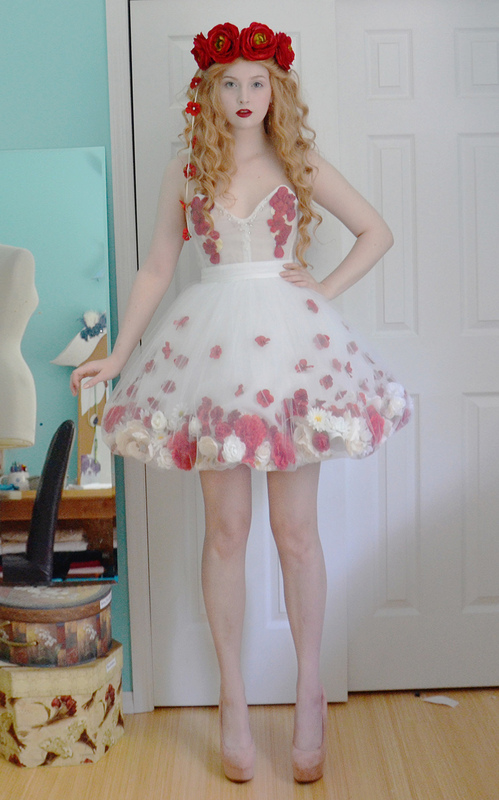 At this point it was time to add the tulle overlay…which looked awful. 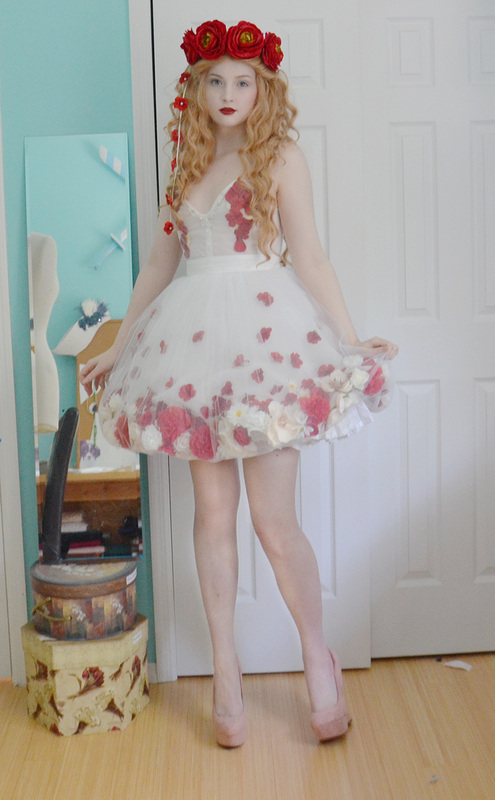 The seams in the tulle looked terrible and I wasn’t happy with it all. I also really disliked how the center seam looks, so distracting! I decided to cut the tulle to be all one piece, tulle has enough stretch that it doesn’t have to have a bust curve…at least not on me and my tiny bust. For the center seam I decided to stitch a scattering of pearls and sparkly bits to create a little more visual interest, and hopefully, distract from the ugly seam. Then I basted my tulle layer on top. I like how this looks so much more then my original plan, just shows that you shouldn’t be afraid to change things that aren’t working out, that’s part of being an artist! I attached the front panels to the rest and added boning into that seam. I took a minute to try it on and though I could fit into it, it was a little snug and I was worried about the tulle ripping. I added an extra (very small) panel on each side which gave an extra half inch of room. A half inch was all I needed, and it fit so much better! 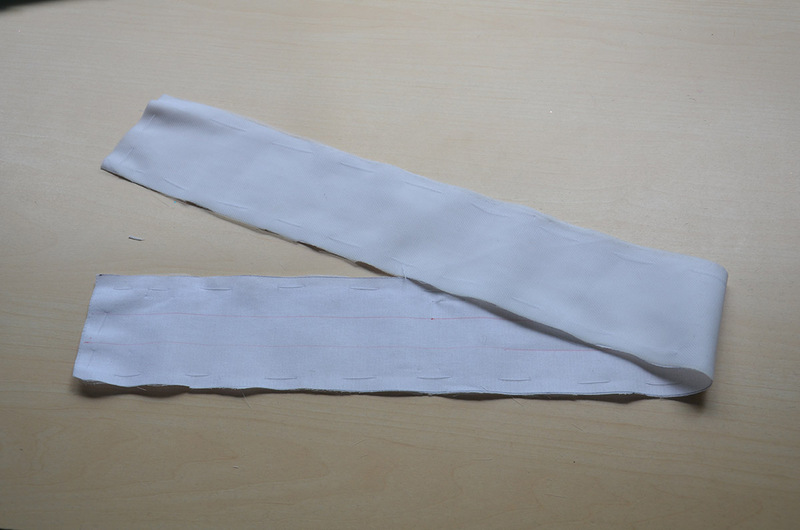 Then I moved on to the waistband, which is the only opaque part of this costume. 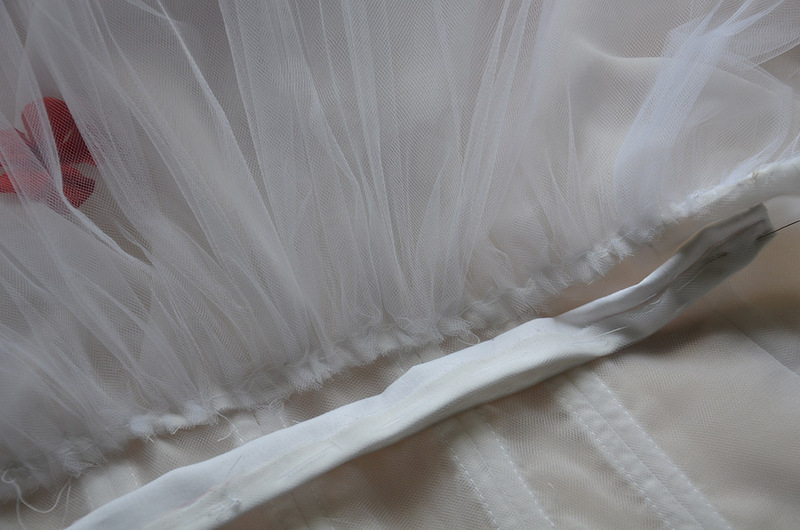 I made it from white cotton sateen with an overlay of chiffon and tulle. The pieces were basted together. Then the edges were turned under with a basting stitch. 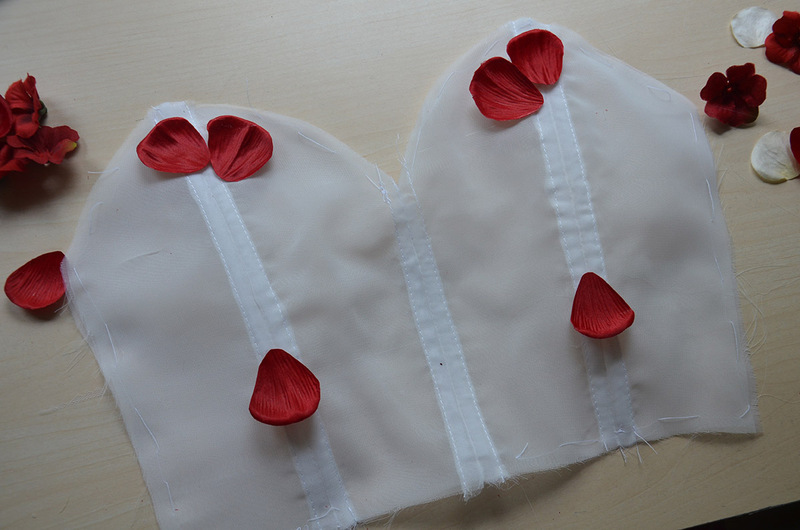 I set this aside for a bit and used lace to finish the top and bottom edge of the bodice. 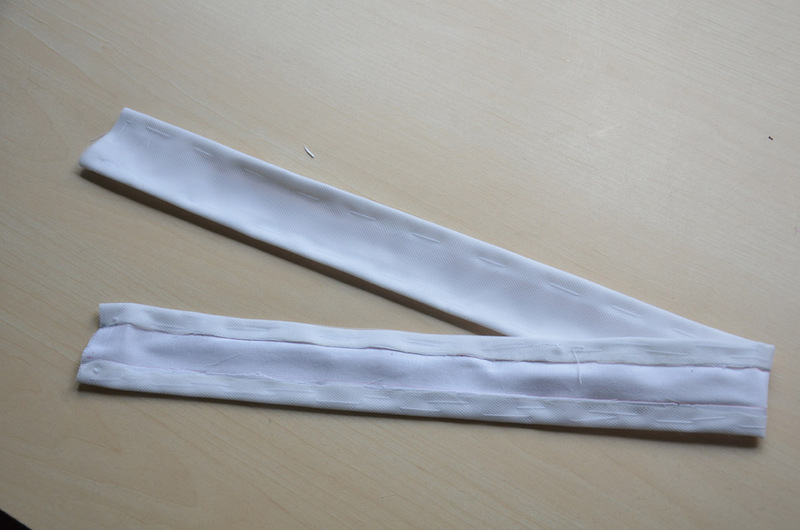 The waistband was pinned on. 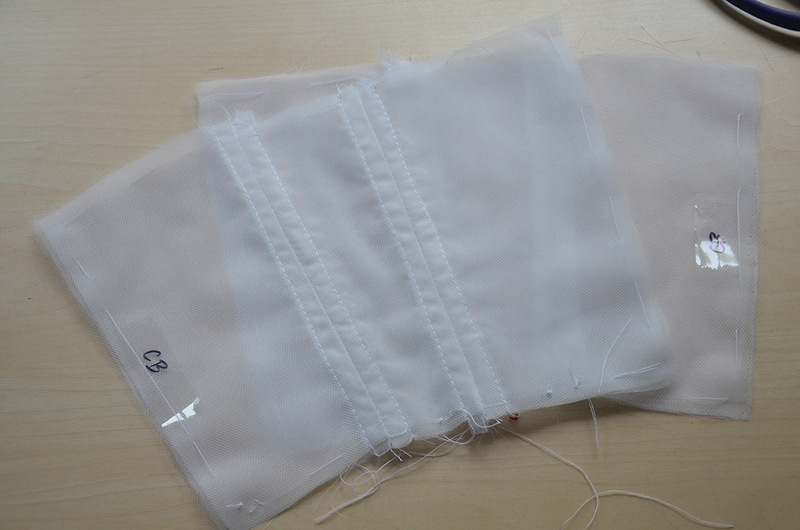 Then the top of the waistband was sewn on with very tiny hand stitches. 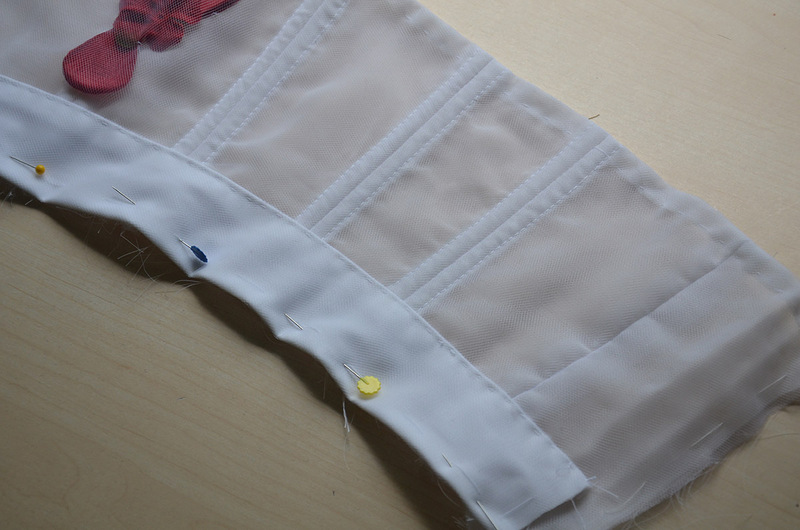 The pins for the other side were removed and the skirt was sewn on. Then the waistband was pinned down again. And sewed on. 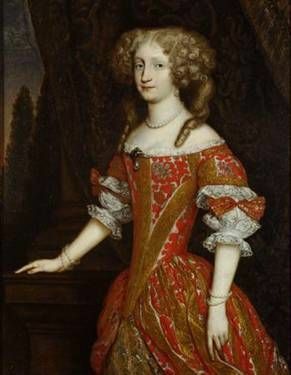 It actually looked like a dress, which is great. 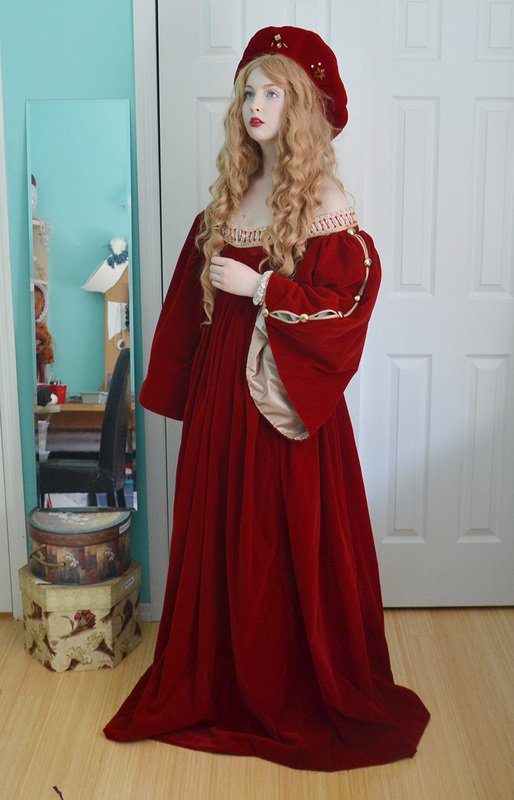 I trimmed a few threads and sewed in a zipper, and the whole thing was finished! But it was missing something. 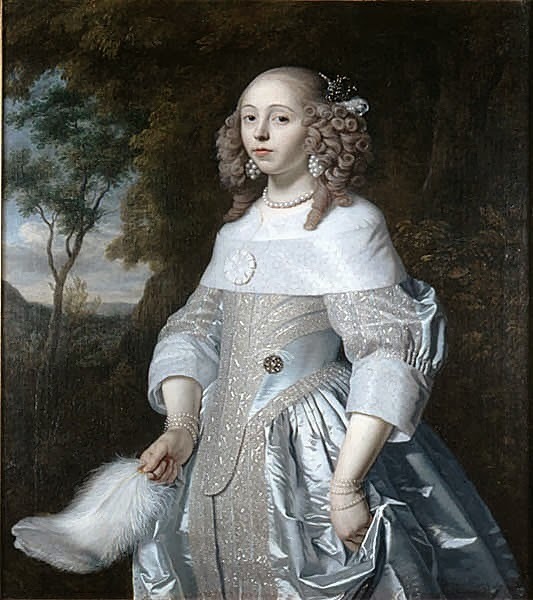 That something was an obnoxious floral headpiece. 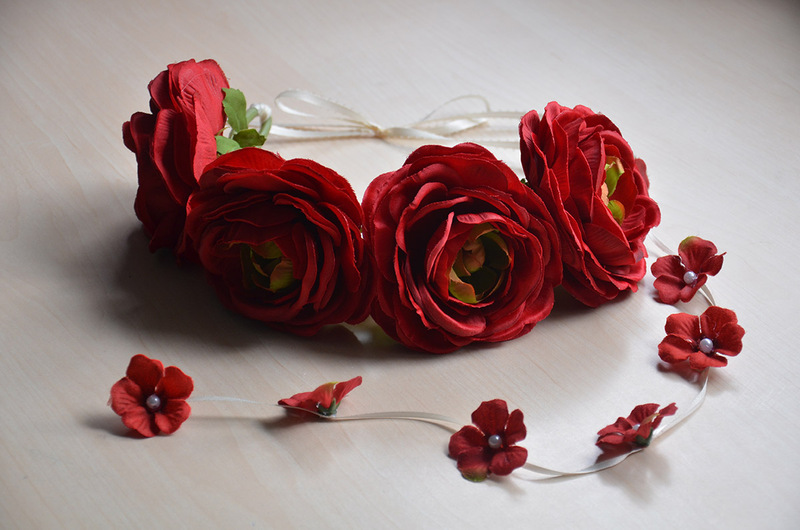 I made a simple flower crown of sorts, I don’t have any photos of how I made it, but I do have a video tutorial! It can be watched here. 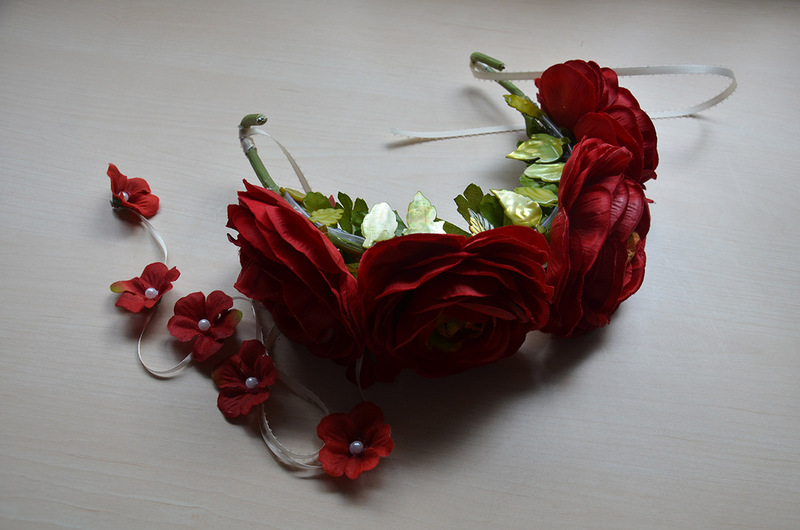 The finished thing looks like this! 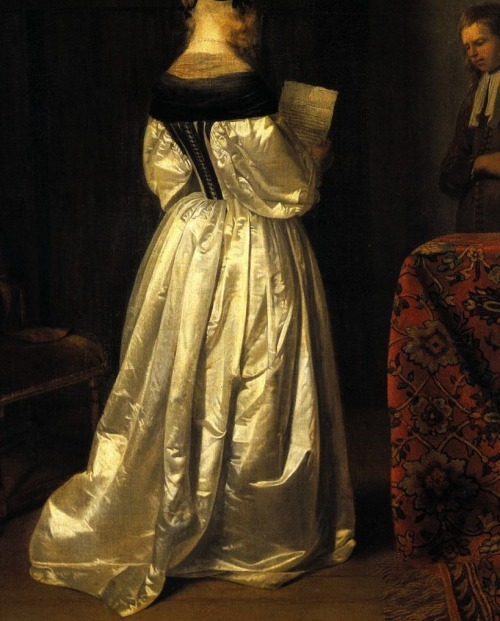 And when that’s worn with the dress, the finished product looks like this. So that’s that! 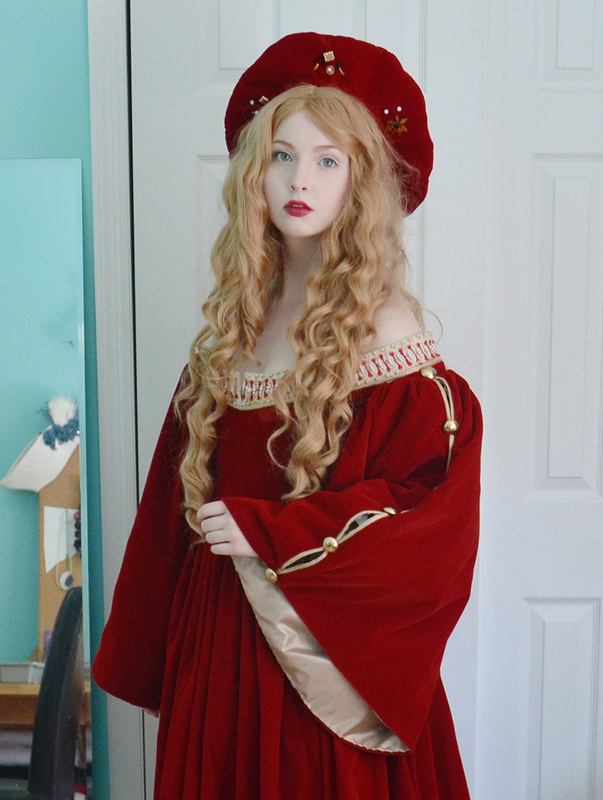 This dress didn’t come out the way I had hoped, but i’m glad that I stepped outside of my comfort zone and made it, because it was fun! I’m also really flattered and amazed by the positive feedback i’ve gotten on this project. It makes me really happy to know you guys like it!